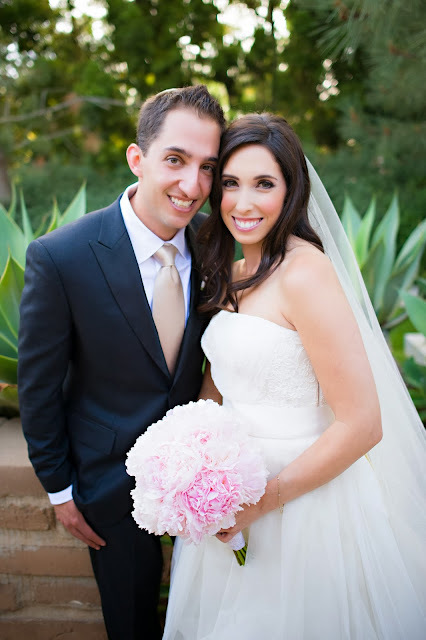 Nico and LaLa: Sweet and Sunny in San Diego!! Today we need to take a mental vacation to escape the brutal Chicago winter! 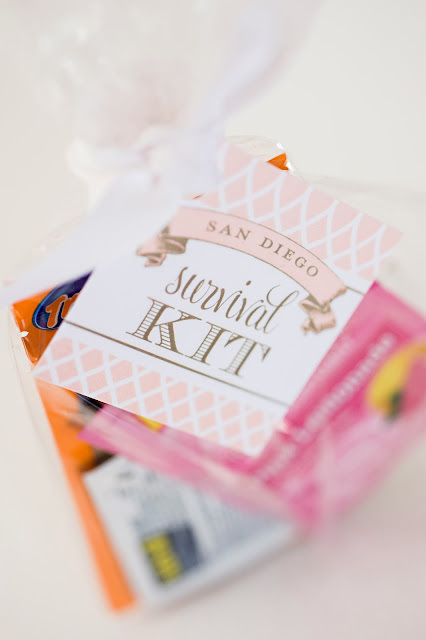 So today we're sharing a west coast wedding out in sunny San Diego!! 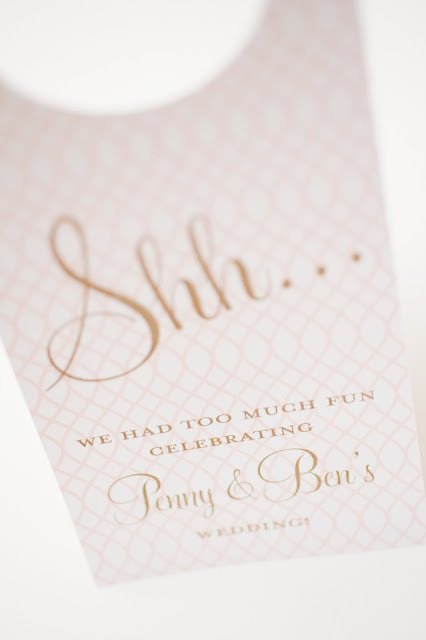 Penny and Ben found us a little late in the wedding game, and already had their save the dates and invitations printed. But not to fear!! We were still able to help the couple make their wedding day special (and swanky)! 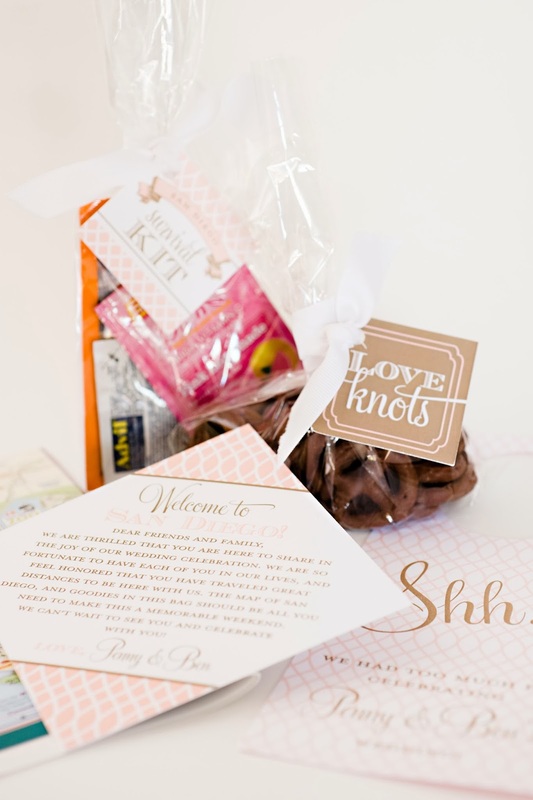 For the couple we designed custom wedding welcome bags and event signage that coordinated with their big day. The result, a special day accented with their beachy wedding colors (coral and brown). 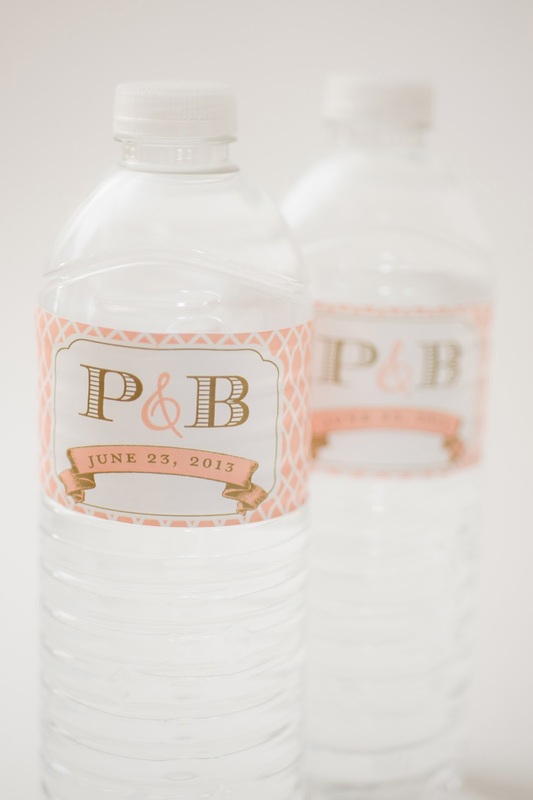 Love is sweet, so go ahead and take a peek at Penny and Ben's California wedding swag! 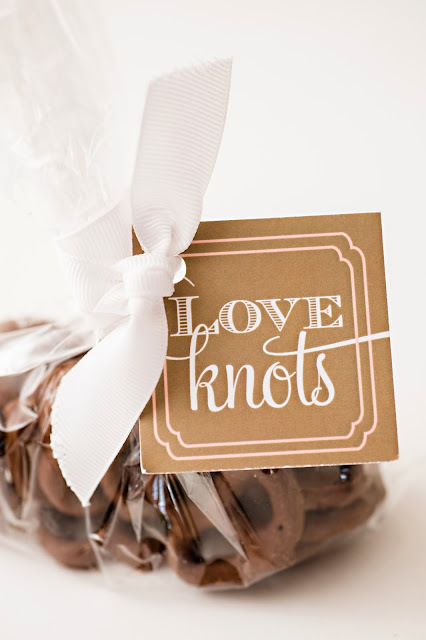 Penny and Ben's wedding welcome bag was filled with all sorts of goodies including a custom door hanger, love knots, a survival kit, water bottles, a map, and a sweet thank you note from the couple. 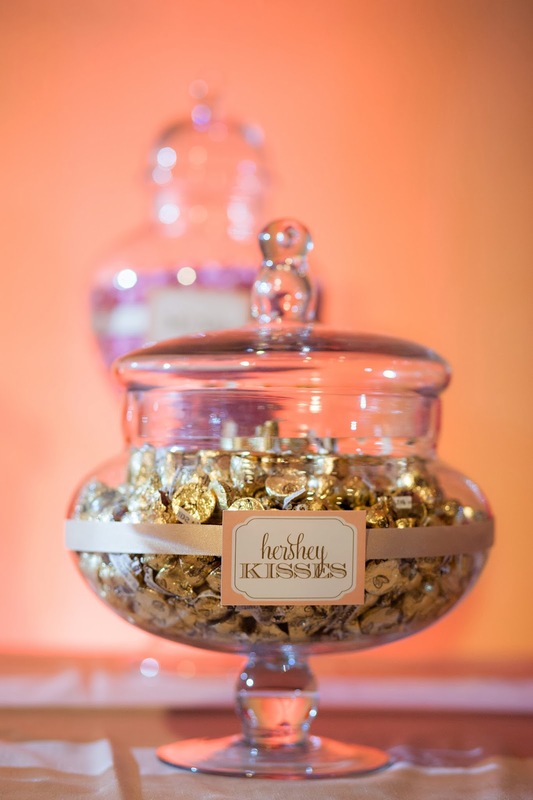 We think Penny & Ben's wedding swag was such a sweet "finishing touch" on their big day!! 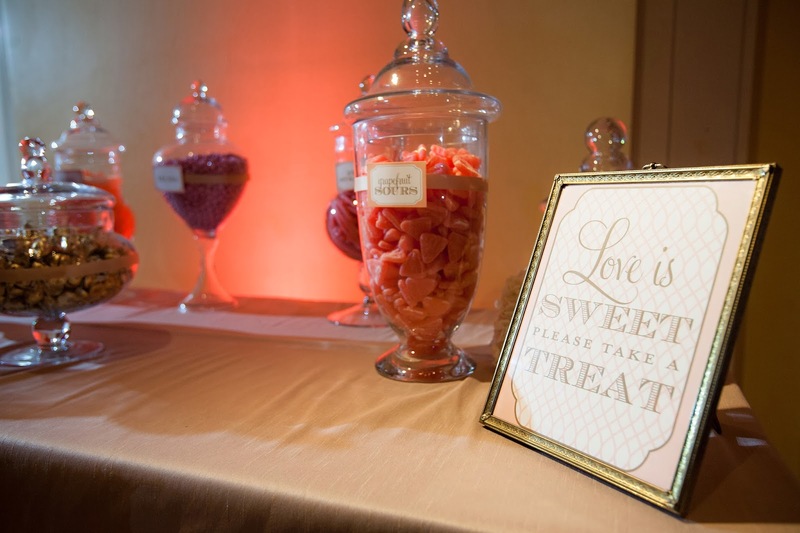 We love helping couples turn their wedding into a spectacular (and special) event. 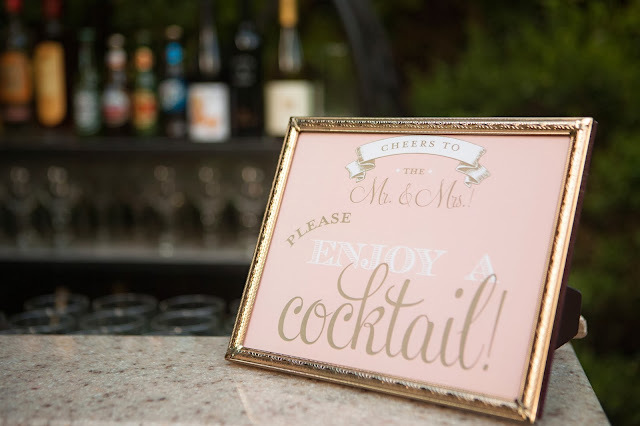 If you're looking to make your wedding (or next party) swanky, email custom@nicoandlala.com to get started with planning. We'd love to help!! 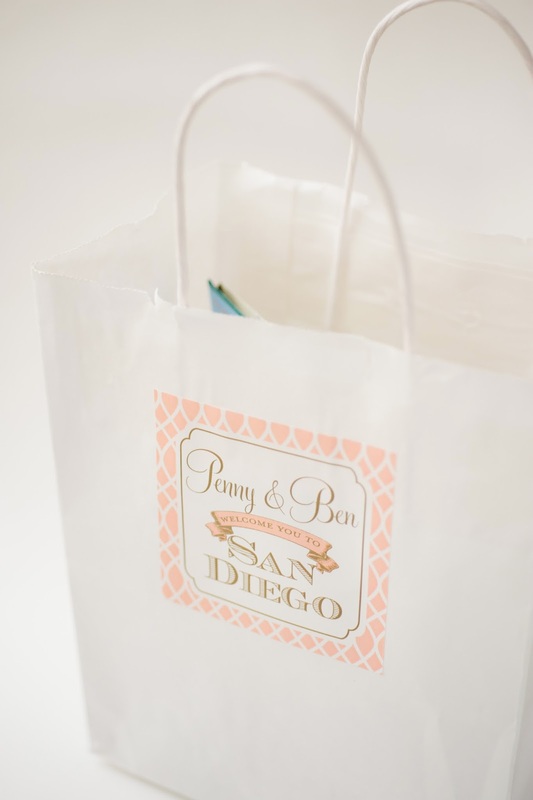 We have a bit of a flair for beachy bags, and are always available to go on location to make sure your wedding welcome bags turn out swanky! 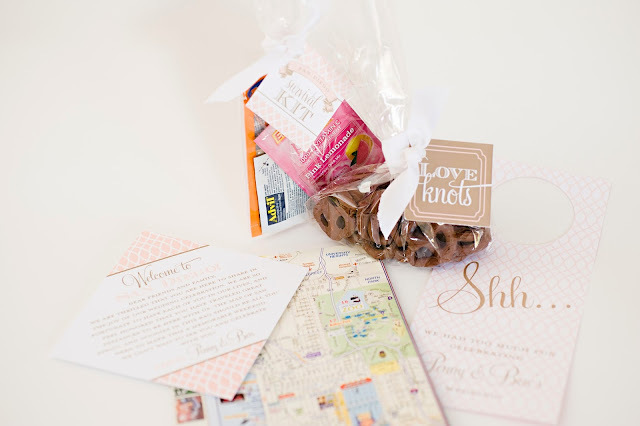 Want to see more destination wedding welcome bag goodness? Check out a blog post blast from the past featuring a tropical example of our welcome bag work. Ps. 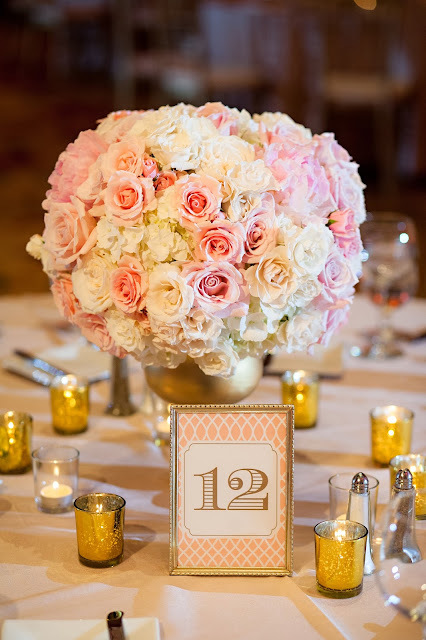 For more Penny & Ben, be sure to check out their real wedding page on our website!